Britain's first populations were the Celts /k/. Britain was not ruled as a nation but it was divided in many different tribes fighting (1) against each others. The Romans ruled Britain from 43 AD to 410 AD (Anno Domini). Emperor Hadrian had a long wall built in 122 AD in the North of England (about 120 km long). Towards the end of the Roman period, invaders (2) attacked Britain (East coast) : the Saxons, the Angles and the Jutes). From the 790s, Vikings landed in England. They came from Scandinavia. They killed, plundered (3) and took slaves (4). The Saxon King of England, Edward the Confessor had no heir (5) to the thrown. So he sent Harold Godwinson, his brother-in-law (6), on a mission to William, Duke of Normandy, (Edward's second cousin). He would become king at Edward's death (7). Harold told William about Edward's promise and Harold swore (8) he would be the next king and he would obey him (9). Edward died in January 1066. 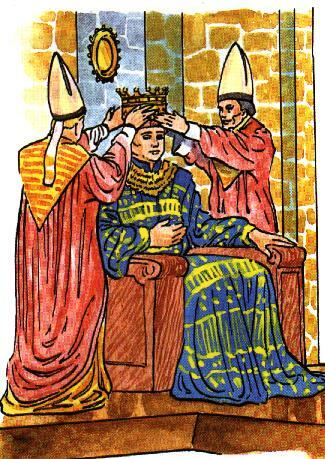 However (10) Harold was crowned on the same day. So William and his army decided to invade England. It took several months for William to prepare his army. He had over 7,000 soldiers. Most of them were knights (11). Over 700 ships (12) were needed to take his soldiers and horses from France to England. 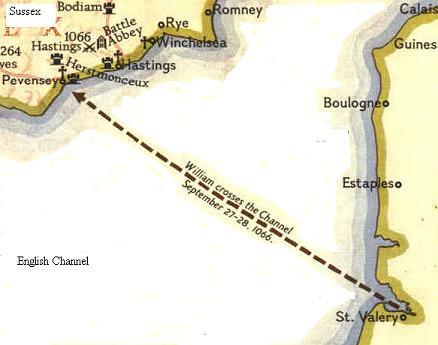 They left from St Valéry in France to Pevensey on the south coast of England (September 27th-28th 1066). The two armies met at Hastings. The battle took place on October 14th 1066. Harold and his army were defeated. Harold was killed (13). On Christmas Day 1066 William was crowned King of England in Westmnister Abbey. 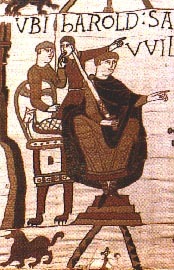 After the Battle of Hastings, William was called William the Conqueror (14). The Conquest was finished around 1072 when the regional revolts were stopped. 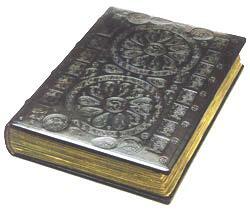 In 1085 the Domesday Book (15) was started in order to raise taxes : he listed all English land and property. He was a great administrator. He made England into a feudal society (16). Normans brought (17) their language and culture to England. Activity on word origin : click! The next King would be his middle son, William Rufus, his favourite. Robert, the eldest son (18) , became Duke of Normandy. Henry, the youngest (19) , inherited a fortune. He died in Rouen on September 9th 1087. 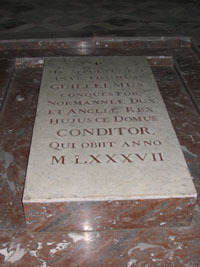 He was buried (20) in St Stephen's in Caen, Normandy. Ici a été enseveli le très invaincu Guillaume le Conquérant, duc de Normandie, roi d’Angleterre, fondateur de cette maison, qui mourut en 1087. 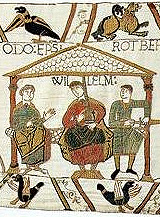 The Bayeux Tapestry (21) tells the story of William the Conqueror. It is 70 metres long and 50 cm high (20 inches tall and 231 feet long). It is the longest piece of embroidery in the world. The Tapestry starts with Edward the Confessor and Harold. It ends with William, King of England. It was commissioned by Odo (Bishop (22) of Bayeux and William's half-brother), and it was probably made in Canterbury (Kent), England. The Tapestry was intended as a monument to his half-brother's achievement (23) that he wanted to display in his new cathedral at Bayeux. Visit the Bayeux Tapestry ! 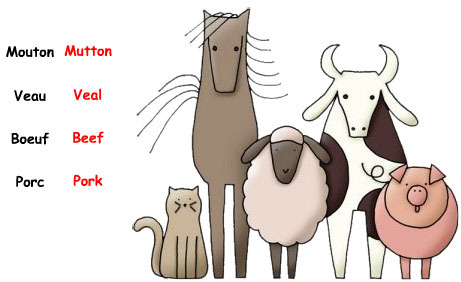 attention prononciation : /i/ court <> /i:/ long - sheep - veut dire mouton !! (15) Domesday Book : recensement, document cadastral. Guillaume voulut connaître, de façon précise, les biens et ressources du pays. L'"enquête" fut terminée en 1086; elle devait servir de base à l’établissement de l’impôt royal. C'est un document essentiel pour connaître l’état de l’Angleterre au début de l’époque normande. L’Angleterre comptait 2 millions d’habitants environ. La plus grande partie du pays était couverte de forêts, marécages et landes. 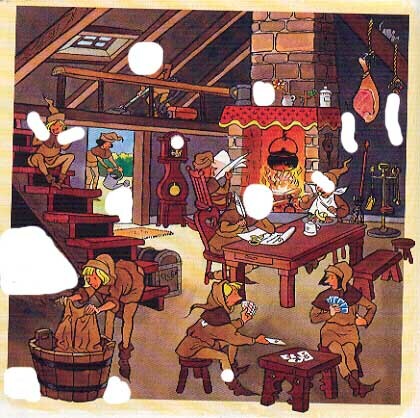 L’élevage des moutons et des porcs et la culture des céréales constituaient les principales ressources du pays.